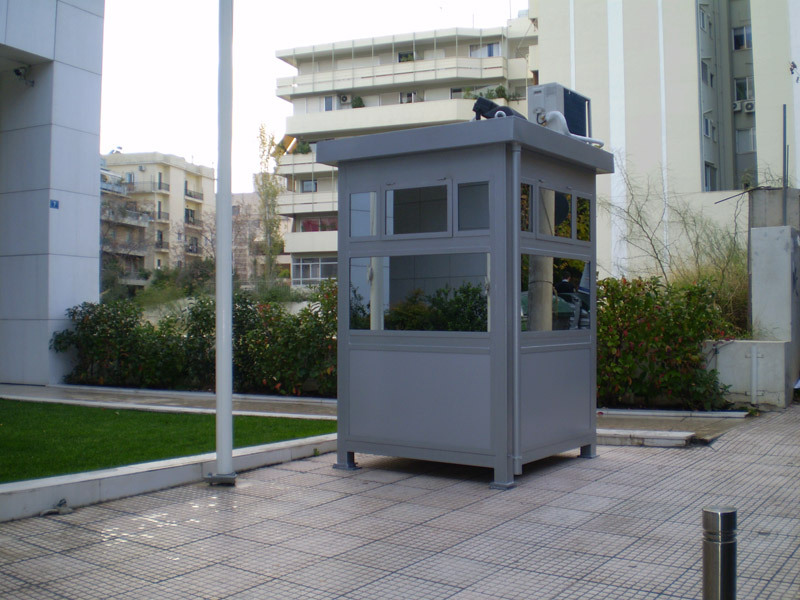 The technical specifications and equipment of the bulletproof outposts (watchtowers) of transportable type, follow the directives requirements of the technical specifications of MPO (Headquarters Greek Police, Directorate of Technical, Doc. Ref. : 8039/1/272-S / February 19 2009) exactly. 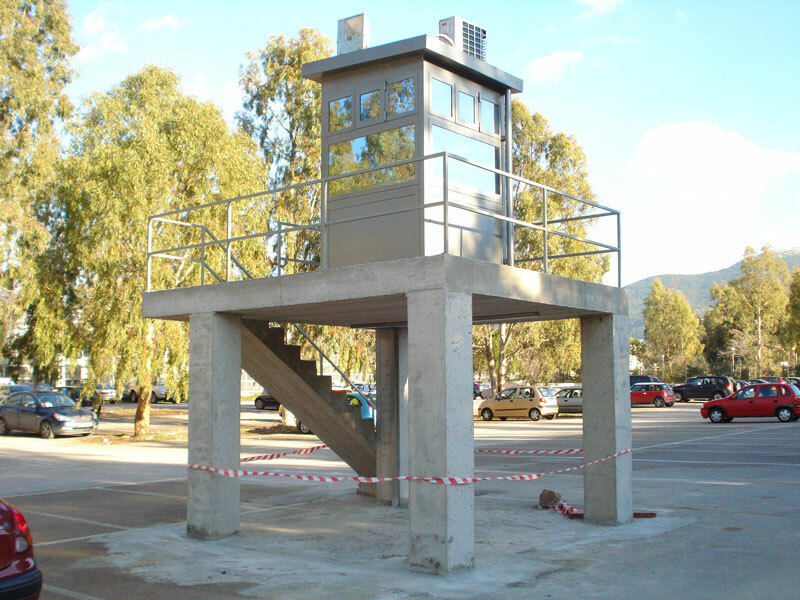 The main body of the outposts is made from metal frames with hollow sections, which are filled with sand or concrete. The sides are covered with reinforced concrete to a height of around 70cm. 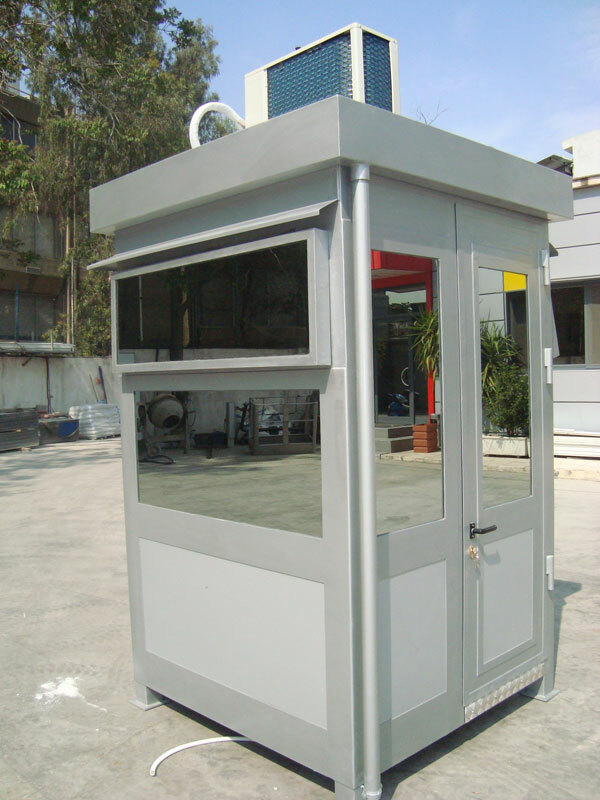 The middle portion is made of stable steel glazing with a hyperbaric frame and bulletproof safety glass of total thickness of 60mm. 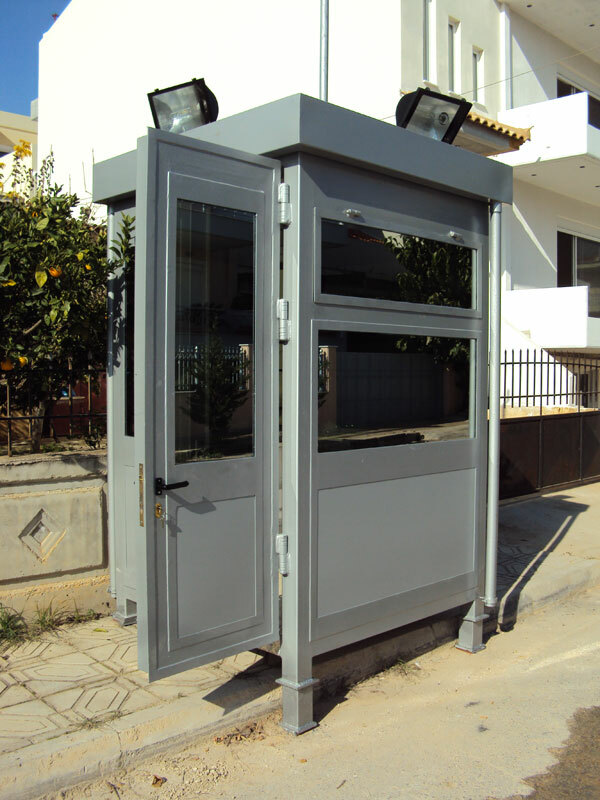 We place windows made of metal hyperbaric frame in the upper part of the sides and tilt mechanism with chain. 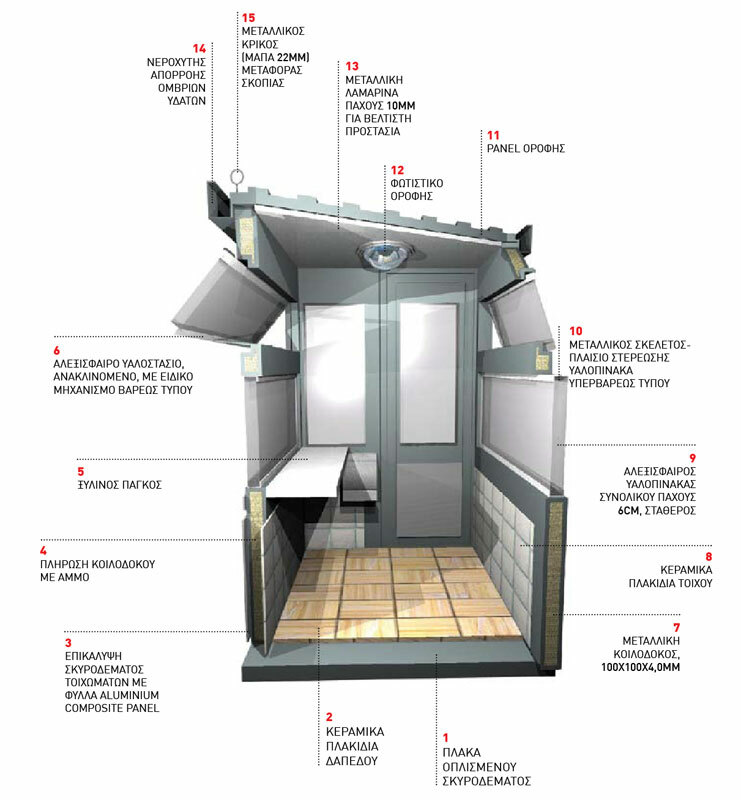 The roof is flat and covered by 10mm thick sheet metal and Panel polyurethane of 4cm is placed on it. Roof runoff rainwater is placed in the perimeter. The floor is made of reinforced concrete with a total thickness of 10cm. Safety glass panes compose an impenetrable resistant wall for bullets of 7,62mm x 51mm caliber, full metal cladding, from Kalashnikov and automatic rifles G3A3, that prevent the bullet from penetrating the material. The glass panes are manufactured according to the security level III by NIJ 0101.08 and in accordance to the level BR7 standard EN1063/1999. They consist of a series of transparent crystals of total thickness of 60mm, which are welded together by multiple safety films. The outer panes are sunscreen/reflective mirror type. 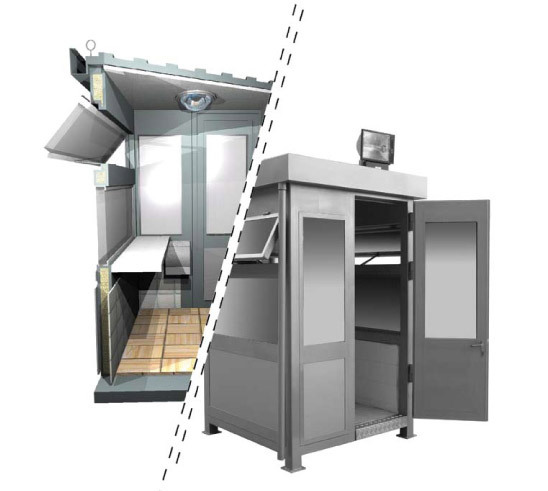 We also cover specific requirements in equipment on demand. 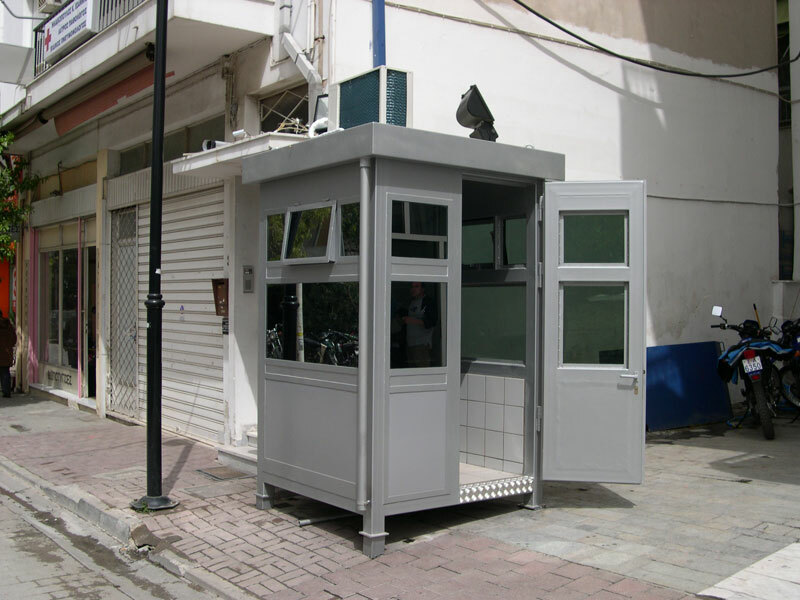 Our enduring presence in the field of steel structures and our expertise in bulletproof outposts of all types, the quality of our services and the immediacy of our work, has provided a guaranteed trust relationship with E.L.AS. Based on these data, we were trusted with the security of the Prime Minister himself, as well as leaders of other parties, and many other individuals. The flexibility and adaptability of our manufacturing capacities enables us to respond successfully to any requirements and difficulties of particular constructions of any scale. The large number of human resources of our specialized teams can meet and deal with any technical problem per occasion. 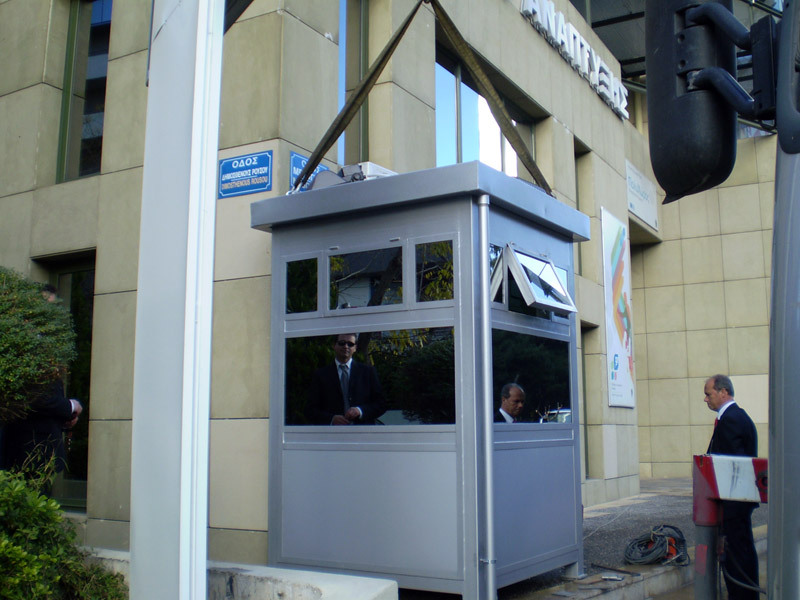 We have repeatedly been assigned and successfully met the needs for transportable and stable bulletproof outposts (watchtowers) of a large number of EL.A.S. 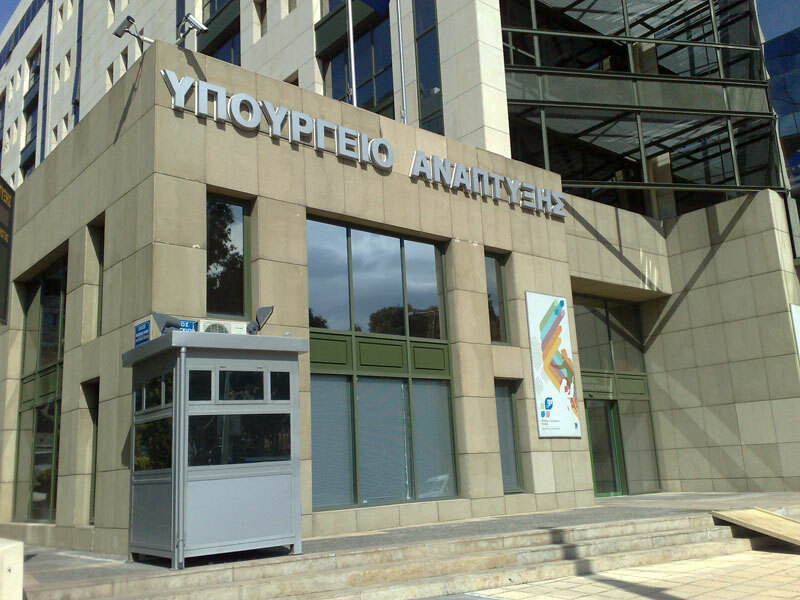 Police stations. We have been entrusted with the security of the Prime Minister and leaders of political parties as well as various individuals. 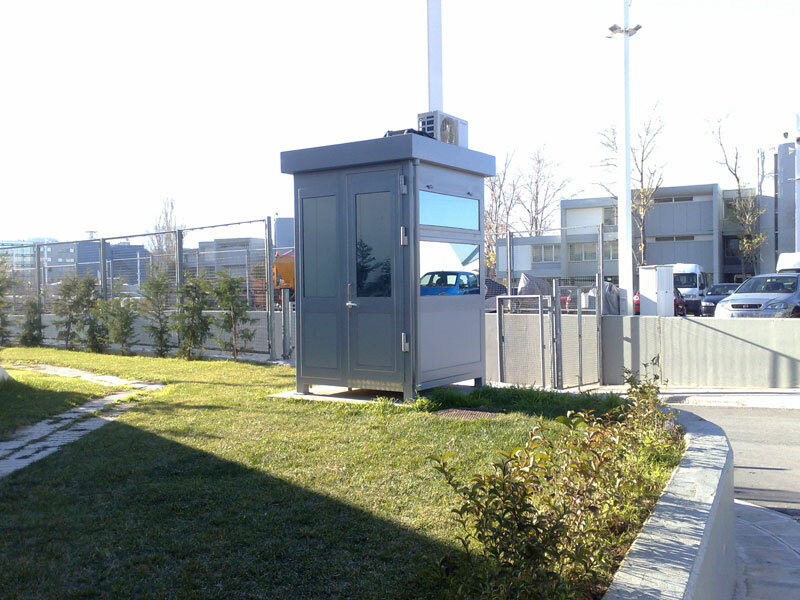 The flexibility and adaptability of our company’s manufacturing capacities allows us to meet any demand and difficulty in particular constructions of any size. The large number of human resources of our specialized teams can respond and deal with any technical problem per occasion.